Currently, two fully-funded PhD Scholarships (for students from outside of EU, additional overseas fees are not provided). 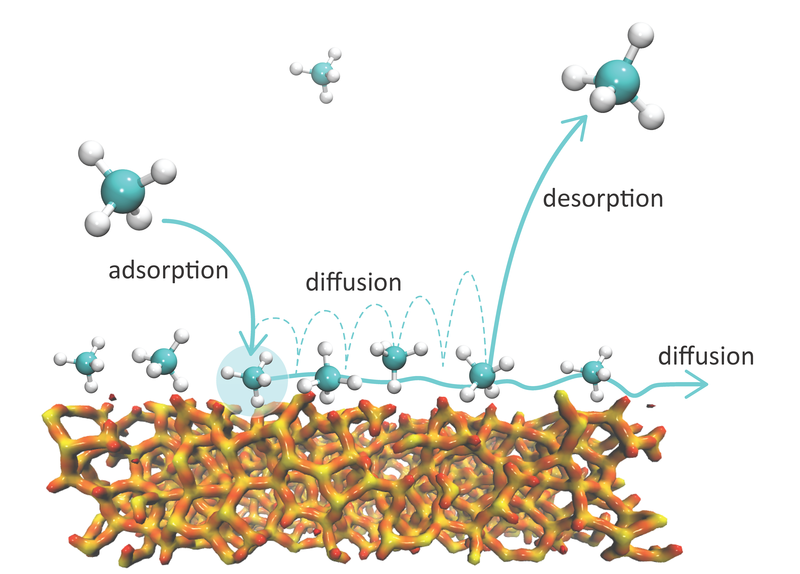 The project is to test and apply the computational tool we have developed to uncover the gas transport physics, subsequently, to predict flow properties of ultra-tight porous media. We are closely working with University of Edinburgh and King Fahd University of Petroleum and Minerals (KFUPM), Saudi Arabia. You will be expected to travel to KFUPM and work with some international leading oil/gas companies including Saudi Aramco. The project offers an excellent opportunity for professional development of the PhD students especailly in the oil/gas sector. The applicants should have a first-class degree or equivalent in engineering, physics, applied mathematics or related areas, with a background in fluid mechanics. Please contact Prof Zhang (yonghao.zhang@strath.ac.uk) or Dr Wu (lei.wu.100@strath.ac.uk) for more details.